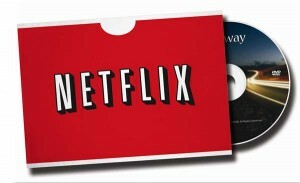 Netflix, Inc. (NASDAQ:NFLX) solved a couple of huge problems with its deal with The Walt Disney Company (NYSE:DIS). The obvious problem is that of content. While it would be nice if all content was available on all platforms, that’s not a practical solution. If exclusive deals are out there, The Walt Disney Company (NYSE:DIS) is the one I’d like to have if I were Netflix, Inc. (NASDAQ:NFLX). In addition to the cartoon classics, Netflix also gets exclusive rights to Pixar, Marvel and Lucasfilm. So it also gets mega-hits like Iron Man and the Avengers, Star Wars and Indiana Jones and even Toy Story and Finding Nemo. The other issue is friends and allies. By partnering with The Walt Disney Company (NYSE:DIS) there’s a chance that Disney will bail Netflix out if needed. Disney gave up on its own streaming service last year and might just be looking to re-enter that market at some point. Disney has the money to make it happen if needed, and it could fend off players like Carl Icahn – who’s eyed Netflix in the past – and others like him. In terms of share value Netflix, Inc. (NASDAQ:NFLX) has been nutty. During 2010-11 it went through a huge run up which saw it go from the low 50s to almost 300 on the basis of very little real news. Then it dropped off as people realized what they’d done. Since the beginning of 2012, though, it’s both been stable and quickly run up, depending on what months you choose. Still, since the beginning of the year it’s up 76%, and it’s operating at a (admittedly small) profit. Still, any profit, considering the firm’s cost for content and overseas expansion, is good news. In terms of The Walt Disney Company (NYSE:DIS), it’s hard to see a real impact on its shares – other than the obvious $350-million-per-year-is-nothing-bad factor. The Walt Disney Company (NYSE:DIS) was a good, solid buy before the Netflix deal and remains one now. Over the last 12 months shares have grown 47.1% compared to the S&P’s 13.5%. Toss in a net margin of 14.60% last year and a respectable dividend of 1.22% and there’s a lot to like. If the company does make a run at acquiring Netflix or another streaming service that’ll be a strong buy indicator, too. Netflix, Inc. (NASDAQ:NFLX) needed the help. The streaming video market is expanding rapidly. Several companies are either already involved or ramping up their own efforts to get a piece of the sweet digital delivery money. Demand for such content is high and likely only to get higher as truly high-speed broadband penetrated deeper into American households. The first, and most immediate, challenge to Netflix, Inc. (NASDAQ:NFLX) is Amazon.com, Inc. (NASDAQ:AMZN). Amazon.com, Inc. (NASDAQ:AMZN) suffers from the same problem that Netflix does: it’s not a creator of content so it has no native base to bring to market. Everything it sells it needs to license from elsewhere. Still, the firm is big and expansive and has the muscle to stay in the game. Still, for how long? The Walt Disney Company (NYSE:DIS)’s about to be out of the picture, and other studios are going that way. What’s left when Amazon.com, Inc. (NASDAQ:AMZN) – to me already a dodgy investment with its inflated share price and 2012 net profit of 0.12% – finds itself without any premium, high-demand content to stream? Nothing good.